I would like to receive occasional information and updates from THE COURTYARD CHRISTMAS APPEAL and jumblebee. 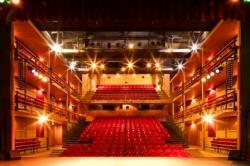 The Courtyard is Herefordshire’s Centre for the Arts, offering amazing cultural experiences for everyone. We are the main community arts hub regionally, delivering a huge range of educational and inspirational projects, for example, each week, over 350 young people attend one of our Youth Theatre groups, either at The Courtyard or one of our satellite groups at Kington and Bromyard. Our Creative Ageing team has worked with over 60% of Herefordshire care homes in the last few years to deliver dementia-friendly arts activities. Our work has a significant and very positive impact on the lives of people living in our rural county, not just at the venue itself. We urgently need your help to protect and develop this work further, after a major reduction in regular funding in 2016. 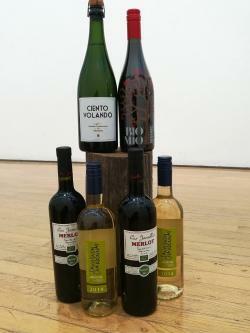 Please bid generously on these wonderful lots donated by our kind business supporters and let you friends know about the auction too! The majority of lots are available to collect directly from The Courtyard straight after the auction ends so would make ideal Christmas gifts. nothing but the grape is a small independent organic wine importer with a belief that organic methods of farming can produce wines of the highest quality. 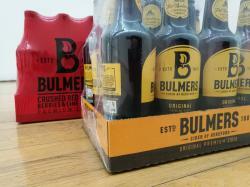 Two cases of Bulmers (12 bottles per case) from Herefordshire's renowned cider producer to help your Christmas party go with a swing. Bidders must be 18 or over. Please drink responsibly. 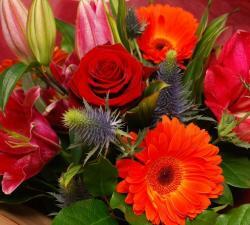 The Hibiscus Room in Hereford is run by passionate and talented florists to create beautiful bouquets and arrangements, handmade just for you, with the best quality flowers and foliage. A gorgeous Christmas table decoration- handcrafted to your own requirements* and including beautiful Amaryllis, roses and lovely scented lilies framed by a variety of foliages including salal and eucalyptus. Cargill Meats is a leading supplier and innovator of primary and further processed chicken products for retail, food service and food manufacturing customers across the world with its UK headquarters in Herefordshire. 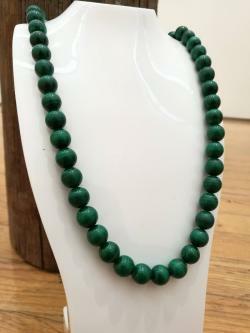 An unusual art deco style malachite necklace with 9 carat gold clasp. Each bead measures 8-9mm in diameter and retains its natural striping and variation in colour. The necklace measures 62cm unclasped. 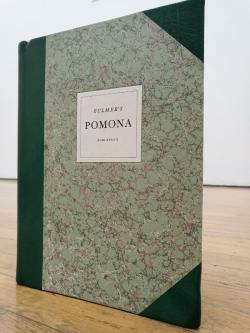 1st edition Bulmers Pomona published in London by Fourth Estate in 1987 to celebrate the centenary of the Herefordshire cider making firm, H P Bulmer Ltd. Features 35 superb full page colour plates of cider apples with a page of descriptive text for each variety from Caroline Todhunter and Rodney Shakell. Castle House is an elegant Regency villa close to the historic Hereford Cathedral and holds a commanding position at the top of Castle Street which has its own elegant, balconied architecture. From the 1920s Castle House was a boarding house then in the 1940s, it became a genteel hotel, the finest in the city - a reputation it still retains. 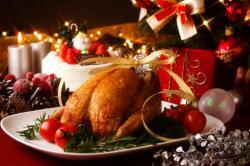 The hotel is still under private ownership and boasts a menu full of local produce. 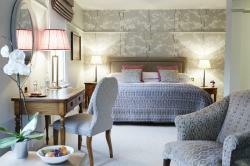 Dinner, bed & breakfast for two in a Junior Suite at Castle House Hotel, Hereford. *Exemption from booking fee (£1.50 per transaction). A 12 month FULL membership to The Courtyard Hereford's Patrons' scheme, featuring the above benefits. This spellbinding spectacular family pantomime will be packed with colourful characters, side splitting comedy, show-stopping musical routines, plenty of magic and sparkle and a family sized dollop of good old fashioned fun! Will the princess ever wake from her enchanted slumber? 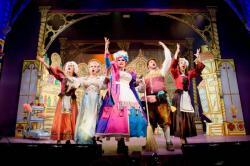 Will the Dame finally find her man? There’s only one way to find out! A family ticket (2 adults and two children) for selected dates in the 2017-18 run of Sleeping Beauty*, two programmes signed by the cast and four ice creams. *valid on any date after auction end except 22 - 27th and 31st Dec, 2nd Jan or any Adult Nights- please book on winning the auction to avoid disappointment. Starfish, designed with an understated cat-eye and sloping brow, is a beautiful addition to Maui Jim’s evolving collection of trendsetting sunglasses. Crafted with a lightweight injected nylon frame and ST Glass lenses, Starfish provides an easy-to-wear look while protecting your eyes. The lens have a 56mm diameter with a bridge measurement of 15mm and arm length of 140mm. A pair of designer Maui Jim "Starfish" sunglasses in a sandstone and blue frame with rose graduated polarised lens. The award winning Country Set collection is inspired by the unique wildlife we see in the beautiful British countryside. 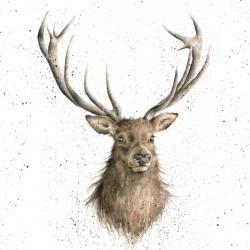 This particular design, 'Portrait of a Stag', features a handsome stag by renowned artist Hannah Dale. 72cm x 88cm (Portrait) including distressed white wood frame. Halo Leisure is a social enterprise running 22 sport and leisure centres throughout Herefordshire and beyond offering a full fitness and leisure service. 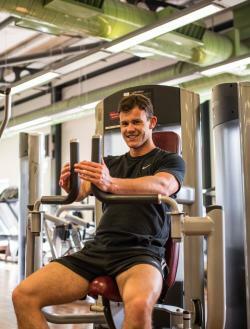 A full guest membership for Herefordshire's Halo Leisure Centres lasting 30 days. This includes unlimited use of the gym, pool, group classes, toning suite, sauna, steam room, golf course and putting green, athletics track and bowls for a consecutive 30-day period. Situated within Hereford's historic town centre, Mike Gell's contemporary jewellery gallery showcases over seventy jewellery designer-makers. 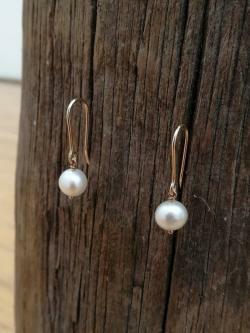 A pair of beautiful fresh water pearl drop earrings, handmade by designer Mike Gell in 9ct yellow gold. **Prize will be made available from a pre-arranged location. *not have been convicted of ANY driving offence in the last five years that involved drink or drugs or that resulted in a disqualification. Henryka Amber & Silver Jewellery is a British Brand specialising in designing and creating the most stunning jewellery pieces made from amber and silver which are inspired by Britain’s wildlife. 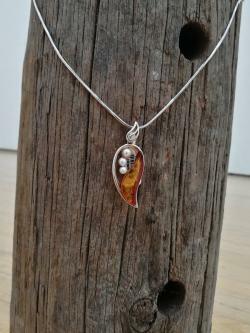 A stunning amber and pearl leaf shaped pendant set into silver on a silver 40cm square snake chain.